The Alps of Europe are a showcase for modern ski lifts. Cable car companies like Austrian-Swiss Dopplemayr, Italy’s Leitner, and French Poma roll out sophisticated, swift, scenic lifts with no expense spared, no summit unreachable. Most common are fancy funiculars, glass-roofed ski trains, 360-degree rotating trams, 24 passenger WiFi-equipped gondolas, and eight-passenger bubble cover chairs with heated leather seats. Here in North American, lifts are generally a bit less glitzy. That’s why the Sunday River Chondola, a $7.2 million investment, was one of the most expensive lifts ever built in New England when it opened in 2008. The name “Chondola” alone is peculiar—albeit accurate—as Sunday River’s hybrid is part chair/part gondola. Europeans would label it a telemix, or telecombi. This centerpiece lift among Sunday River’s eight peaks is the resort’s longest, traveling 6,427 feet from South Ridge base up to North Peak. It features 60 detachable six-passenger chairs that alternate on a high-speed cable with 15 eight-passenger gondola cabins from the dual loading base, whisking skiers, snowboarders, and non-skiers up 1,138-vertical feet. 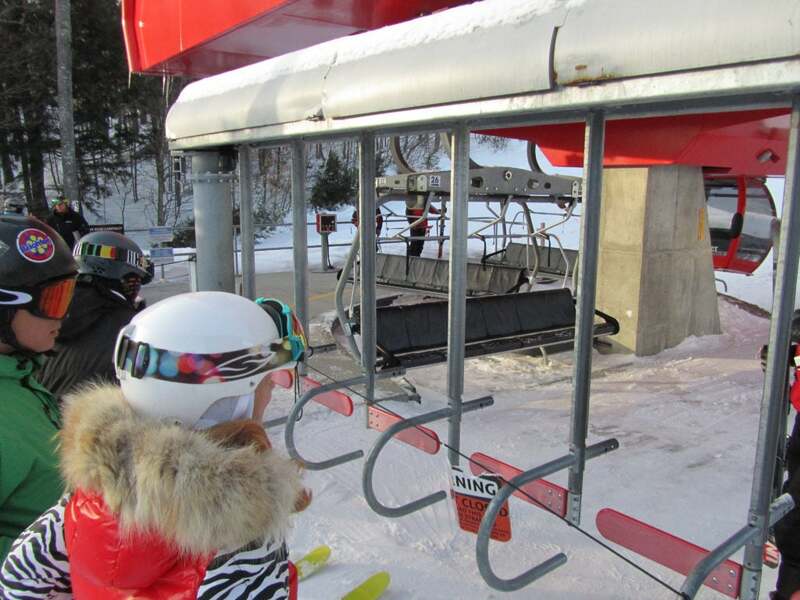 What’s cool about the Chondola, besides offering skiers a choice of removing their skis and riding inside the protection of a gondola car or riding the six-passenger flying couch outside, is the lift’s functional versatility for the ski resort. The Doppelmayr CTEC combo lift reduced the ride time to North Peak from 20 minutes to a swift seven, and gained skiers direct access to six of the eight peaks. The Chondola also allows pedestrians (no skis, no problem), to ride up the mountain in all four seasons. 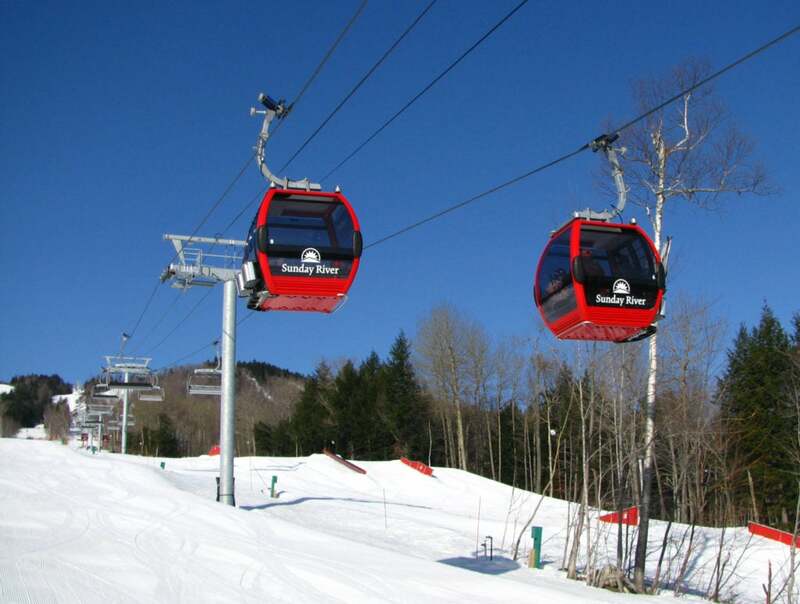 A bonus on blustery days: lift operators can remove the bulkier gondola cabins from the line, decreasing lift stoppage on windy days (gondola cars can act like big sails in the wind). Sunday River’s Chondola also runs at night. Picture snuggling under blankets as you ride up under moonlight and stars, or night skiing lights, to North Peak Lodge for special chef-themed dinners and family-oriented evenings with mascot Eddy the Yeti. The Chondola is also perfect for non-skiers who want to lunch on the mountain with their ski crew, or for tired snowshoers who have made the steep climb and need a relaxing lift back down. The Chondola opened a whole new wedding venue for Sunday River at the North Peak Lodge, delivering guests to the summit in scenic cars. Brides’ up-dos stay up before and after the “I do’s.” Summer and fall, cyclists can upload with their bikes for a thrilling mountain-bike ride down. The beauty of the Chondola engineering is the gondola cars and the six-person chairs slow as they detach from the high-speed cable at the bottom and top terminals, allowing ease of loading and unloading. 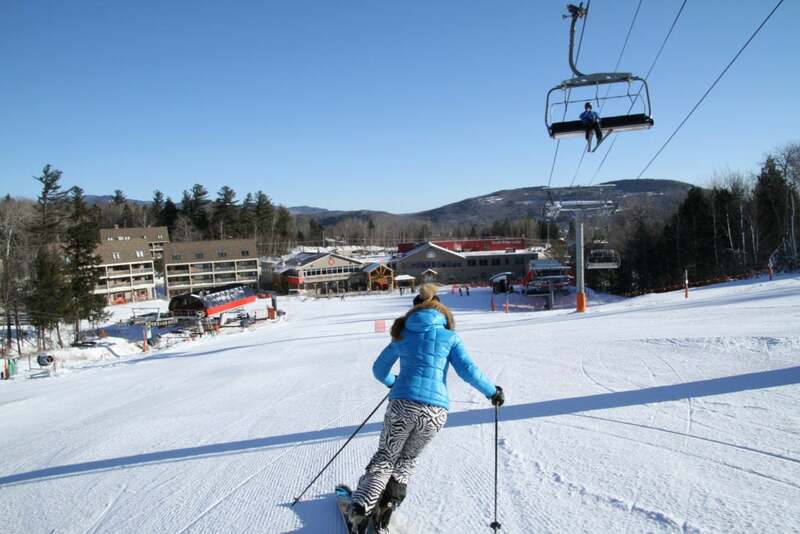 While Sunday River has the only Chondola in New England, others exist at North American ski resorts: Northstar Resort in California, Beaver Creek and Telluride in Colorado, and Mont Orford in Quebec.